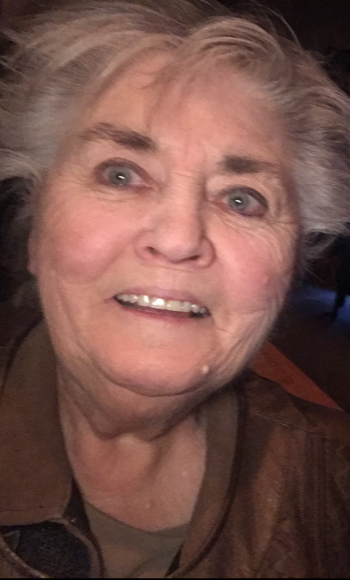 Carol J. Renfrow, 78, of Blackwater passed away April 2, 2019 at Boone Hospital in Columbia, Mo surrounded by her family. Visitation for Carol will be 10 to 11 A.M. Monday April 8 at Howard Funeral Home. Funeral services will follow the visitation at 11 A.M. Burial will follow in the Penninsula Cemetery in Blackwater. Carol Joy Renfrow was born October 27, 1941 in Warsaw, MO., the daughter of William “Bill” Shoemaker and Mildred Faye Shoemaker. Carol graduated Boonville High School in 1960. She married Bobbie Renfrow on May 7, 1961. Carol has always been active and invested in the blackwater community. Carol resided on the farm for 51 years and helped out when she could, she loved to go antiquing, looking for pieces to add to the antique store she ran for18 years and loved gardening. Most of all spending time with her grandkids and family was important to her. She kept up with all of the grandkids activity and tried to attend as many as she could. Carol was preceded in death by her parents, Bill and Mildred, Husband, Bobbie, brothers, Donnie and Bobby Shoemaker and sisters, Jean Shoemaker and Romona Wessing. She is survived by her son, Bobbie “Pache” Renfrow and daughter, Gayla (Fred) Smith all of Blackwater. Also surviving are her grandchildren, Cassidy, Preston, Paige and Kennedy Renfrow and numerous nieces and nephews.